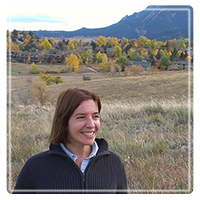 Boulder Therapist: Mariana Iurcovich - Therapist 80301. Send A Message To Mariana. Session Fees: 125 $ 50' session. Sliding scale for students. Hello and thank you for stopping by ! If you are looking for a professional that can assist you to overcome obstacles, understand what you are going through, and find ways for you to have a joyful and fulfilled life, I can help you. I am a Clinical Psychologist, with 30 years of experience. I am very open and warmth and provide a safe space for you to feel understood and cared. I believe that there is always a solution for any problem that you might be facing, sometimes it’s just about seeing the same situation from a different perspective, and others as we change attitudes, our relationships change as well. I am a bi-cultural person, understand blended families/couples concerns. I worked in different countries ( Argentina, Uruguay, Paraguay, Peru, Brasil, Chile, Panama, Dominican Republic, Guatemala, Honduras, El Salvador, Puerto Rico, USA, Albania, Macedonia, FR of Yugoslavia, Moldova, Kenya, Zambia, Vietnam, Cambodia, Phillipines, and Papua New Guinea and relate very well to anybody that has that experience. I accommodate to my patients needs. Some like to have the sessions during walks in Nature, others in my office and some that live abroad prefer camera web. I speak Spanish. For me a successful therapy is that process that allows you to see changes in your life, and that makes you feel and be empowered and find the solutions to each obstacle that you might encounter in life. Feel free to contact me, I'd like to be with you during this discovery journey !